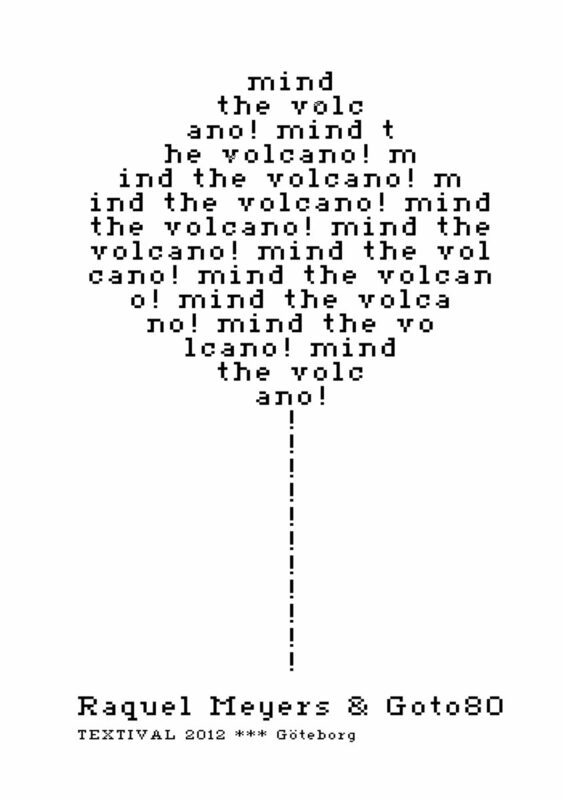 Mind the Volcano is a text-based TV-performance with a typewriter logic. 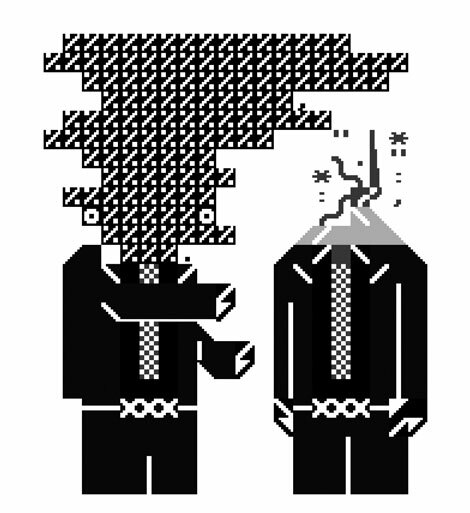 All the visuals are made with text graphics, and the music is composed in a text-based software. Words, images and music come together in sweet disharmony. 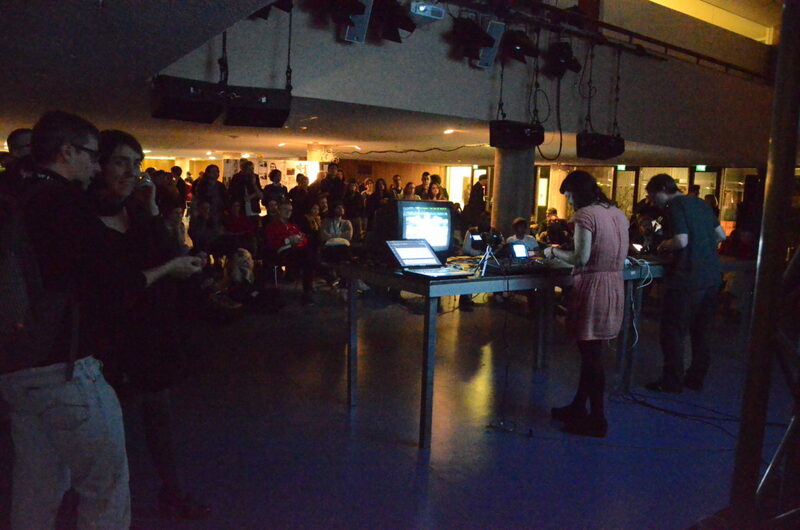 First performed at the literature festival Textival in Göteborg, 2012, with visuals based on a number of books and with music coming out from 40 headphones. 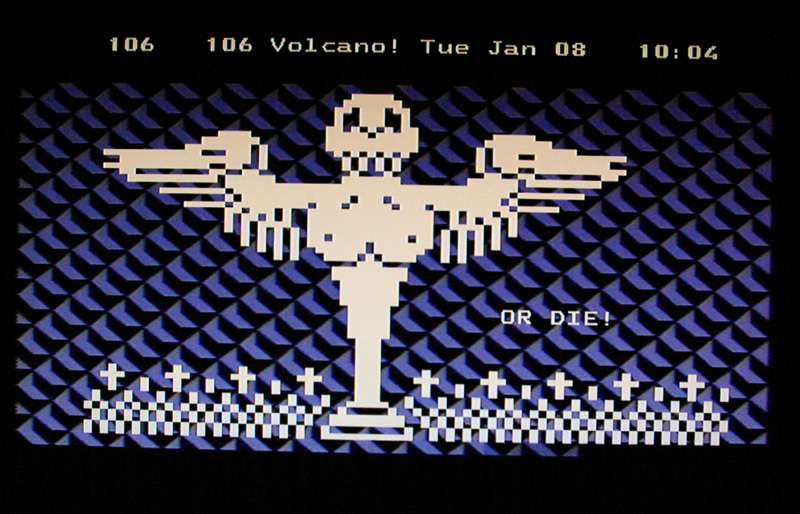 Mind the volcano at Transmediale was probably the first performance with real live teletext visuals, which is perhaps not so surprising. 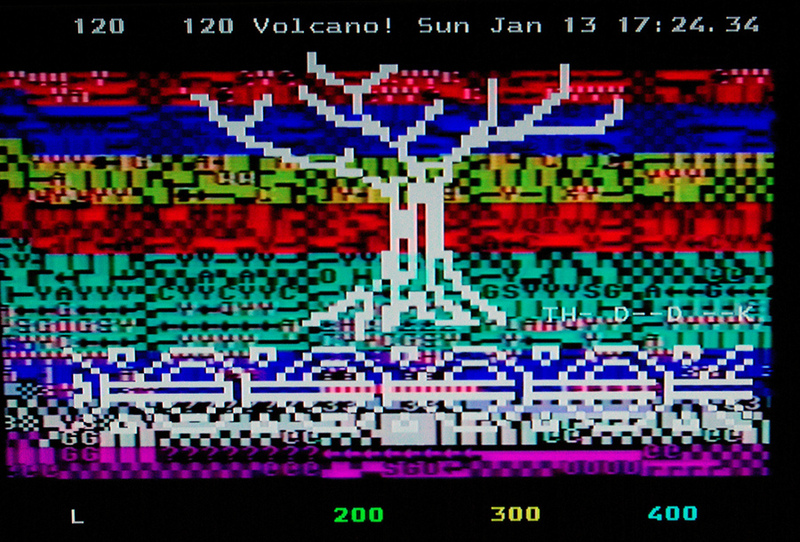 Since teletext cannot be displayed on a beamer (because it’s not really video), it was displayed on a TV that was filmed with a camera, and then fed to the beamer. Shown at Textival 2012 (Göteborg, Sweden), Transmediale 2013 (Berlin, Germany) and Piksel Festival 2013 (Bergen, Norway).